Lhasa is a red fountain pen ink with medium saturation. Part of PenBBS's city series, Lhasa is the administrative capital of the Tibet Autonomous Region of the People's Republic of China. 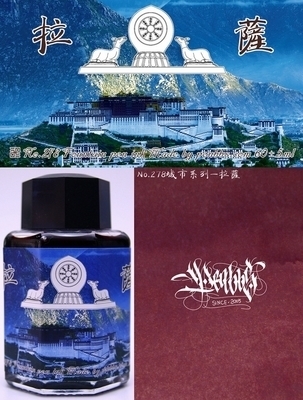 The image on the bottle depicts Potala Palace and the Wheel of Dharma.